What is a De-Esser effect? 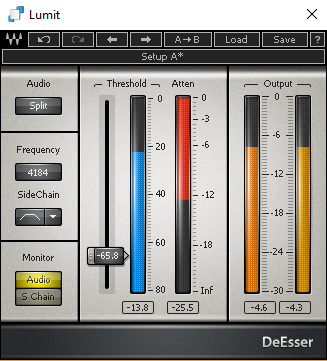 The De-esser is without a doubt a versatile effect, frequently used to tame the annoying “ess” and “esh” parts in the vocal recordings. Therefore, it is mostly considered to be a vocal tool. However, De-Esser can be useful in many other ways, which I will try to describe in the next tutorial. Much like a multiband compressor, it works in a way of a frequency-selective compression. 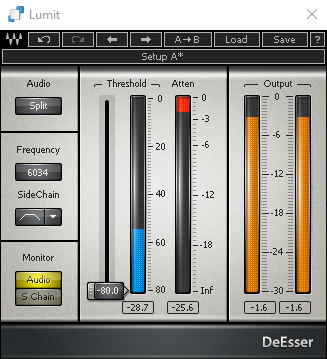 So here are 4 different scenarios in which we can apply the De-esser effect in our mix using DeEsser plugin by Waves audio. Cymbals can often sound harsh. Whether it is the crash, ride or hi-hat, hi frequencies on the above-mentioned drum sounds can wash out the entire drum mix. 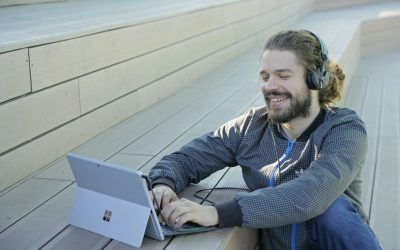 For this reason, you need a dynamic processor like De-esser to fix that. Furthermore, it can provide more control in order to attenuate certain unwanted frequencies. In addition to this, it will do the job better than a regular equalizer. As you can see in the picture below, a part of the audio spectrum is selected where the attenuation is applied. Let’s hear the drum mix without and with De-esser applied. When it comes to the foundation of the song, a bass guitar is one of its unavoidable elements. Therefore it’s important to keep it solid in the mix. Fret and pick noises from a bass guitar can sometimes be overwhelming if too much compression is applied. As a matter of fact, these kinds of noises usually occur on high frequencies. 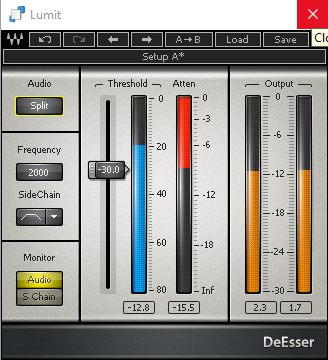 Once again de-esser is a great tool to keep those noises at a reasonable level. 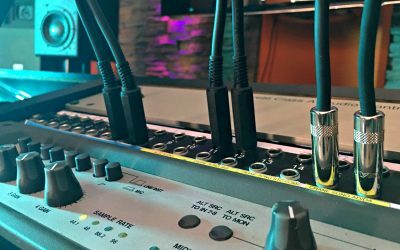 As a frequency selective tool, de-esser can also be used on sounds that are dominating the lower frequency spectrum. One of these sounds is, for example, a kick drum. A common tool to tame the frequencies ( from 200Hz to 500Hz ) on a boxy kick drum sounds would be a bell EQ. 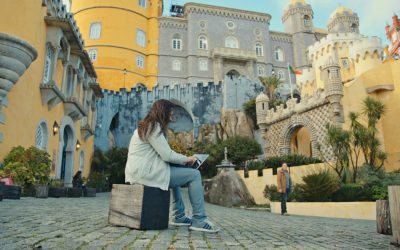 Alternatively, and in most cases, a better solution, would be to process it with de-esser. 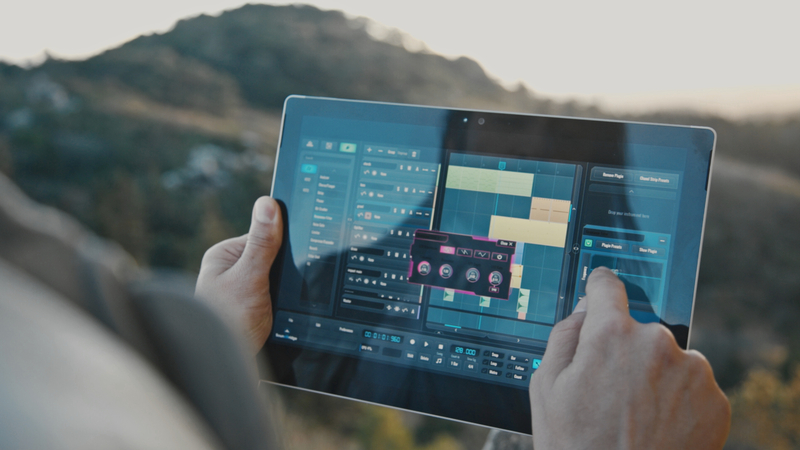 It will work well on both acoustic and electronic kick drum samples. 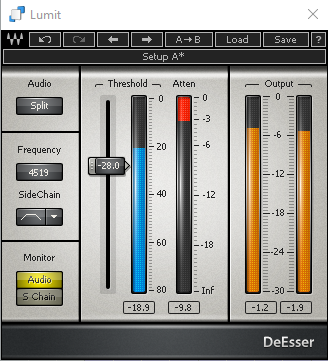 To conclude, many people think that De-esser is just a vocal fix plugin. However, once you understand that it is a compressor with a frequency dependent side chain, your world opens up to many new possibilities. All in all, we can safely say it’s a great multi tool!